When Should You Call a Windows and Doors Replacement Company? Your home was likely constructed with doors and windows intended and designed to last a very long time, years, if not decades. However, they do not always last as long as a home’s structure due to quality, use, environment, and home settling or the original installation. Nor do they always suit your style if you renovate or remodel. Therefore, we will discuss some of the factors that determine when you should call a professional windows and doors replacement company. Remodeling – Any time a home is undergoing a partial remodel, full or major renovation. This is a good time to call a windows and doors replacement company. 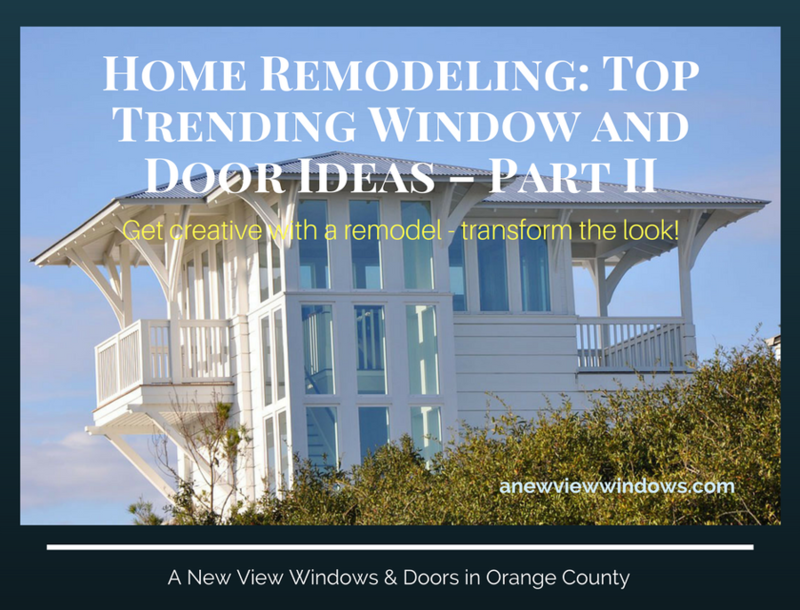 As long as an entire home is getting a top to bottom, end to end makeover, you might as well consider upgrading the entries and access points. Consider the view from the interior of your home and the exterior curb appeal when replacing windows and doors. Even a partial remodel can improve the value of your home just by upgrading your old windows and doors. Putting your House on the Market. Some people may not agree but we think replacing your windows and doors before you place your home for sale is an excellent way to improve the value. It may even help you sell your home easier. Consult the door and window company that is going to install your new windows and doors carefully. If you do it right, the boost in home value can be dramatically more than the money you invest in the upgrade, meaning you may get more for your home when it sells that can go towards your new one. Before moving into your New Home. After purchasing your new home, it may be a great time to get new windows and doors installed. Best time for some remodeling so you don’t have to keep whatever comes with a home. Having new doors and windows installed before you move in saves you time and hassle. You never have to spend a day with old windows and doors that are less energy efficient or aesthetically pleasing. Natural Disasters or Break-ins. When an accident or natural disaster strikes that damages your windows or doors it is a necessity to call a window replacement company. You might have an obvious need for stronger or more durable materials. In addition, your insurance might even cover some of the costs, if not all of them. The time period following a break-in is a similar case. After stating that, it is best to replace windows and doors with quality hardware as soon as possible. Security of your home is an issue that can be avoided. Keep your family safe with the best quality windows and doors. Image below is of Marvin Wood Casement Windows which we sell and install. These state-of-the-art push out casement windows feature concealed multi-point locks. 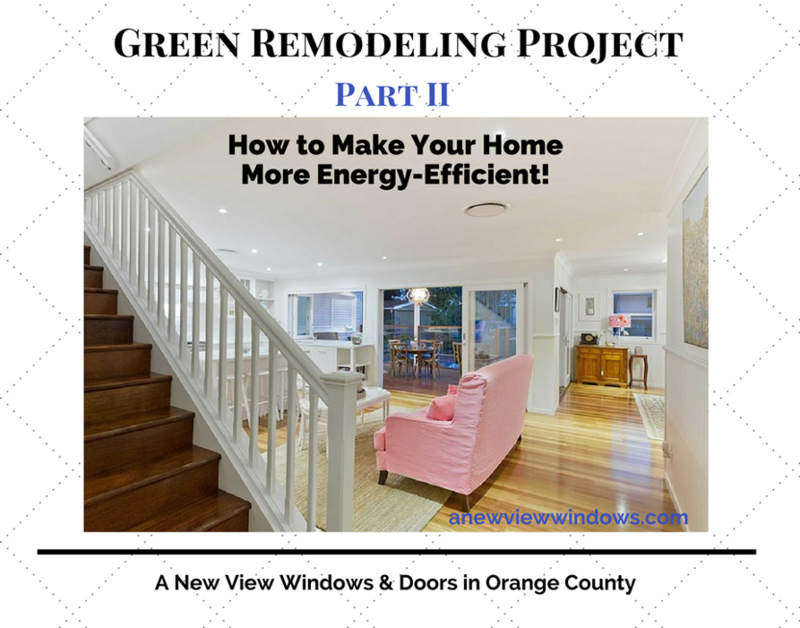 Replace Old Drafty Windows and Doors to Improve Energy Efficiency. If your current windows and doors are more than a decade old, it might be worth replacing them. This change to get better technology for insulation that is more efficient can help lower your power bill. In addition to improving the value, interior and exterior style, and curb appeal of your home. Learn more about Energy Efficiency rebates. Orange County homeowners can count on us for Professional Service. When you need a windows and doors replacement company and installation service Call A New View Windows and Doors (714) 953-7663. Contact us for a Free Quote on purchase and installation of new or replacement windows and doors in Orange County. Are Smart Home Upgrades Investment-Worthy? I'm very pleased with my patio door, and you have an excellent crew that knows what they're doing. Thanks again for you, Cash for choosing this beautiful door. Your installers did a great job and I will recommend you guys to all my friends. Thank you.